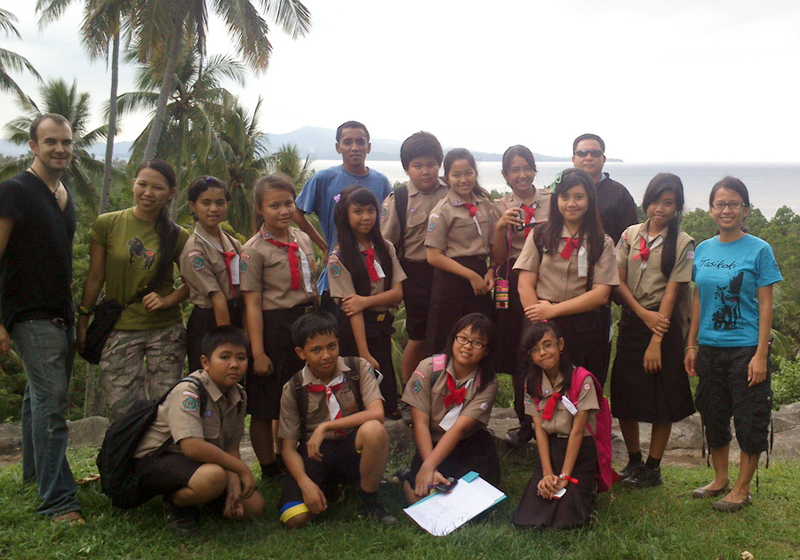 Last Saturday, for our environmental course at Bitung SMP1, we went beach cleaning. Our partner, Tasikoki rescue and release centre, invited us to come on their shore and helped us raising our students’ awareness concerning garbage pollution and its impact on sea life. Our students, like every Saturday, seemed really concern about the damage humankind is daily inflicting to our planet and it was good to show them a concrete example illustrating our previous courses. Even if the rain put an end to our beach cleaning, each student teams came back with a full bag of plastic garbage.